No, I’m not talking about the RPG Maker game, Misao. 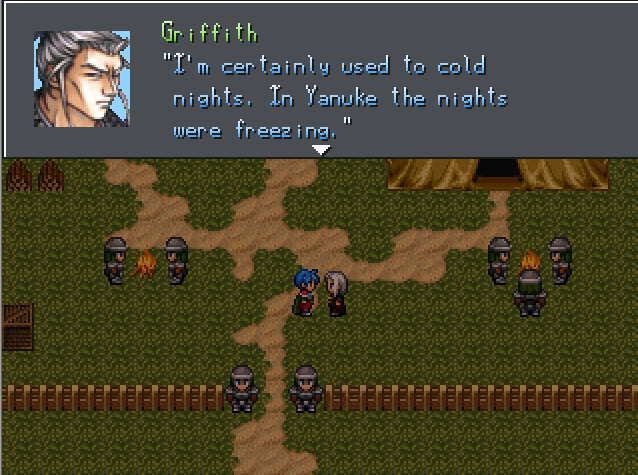 I’m talking about the Misaos, awards given out in the rpgmaker.net (RMN) community for games that were released that year. 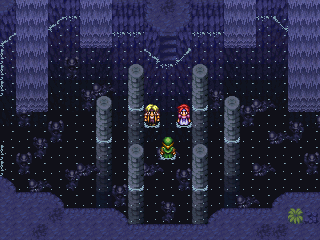 The awards acknowledge the best of the varied experiences that RPG Maker can produce and as a critic that hollers that “RPG Maker games are good, actually,” I hope to introduce these experiences to a new audience. The Misaos were originally hosted on a site called Hellfusion, which can now only be accessed through Wayback Machine. The Misaos were named after Makimachi Misao, a character from the anime Rurouni Kenshin, which iishenron/Final Dragon, runner of the shindig, was a fan of. 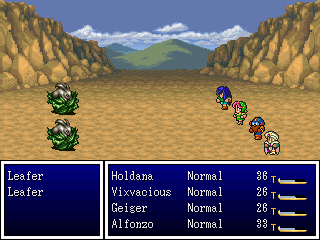 The Misaos were run on #rm2k on irc.dynastynet.net, with people from various RPG Maker forums submitting votes. The awards went through three rounds of voting: a category nomination round, a game voting round and the final voting round that decided winners. Many awards were standard fare like best graphics and story, but there were some unique categories presumably decided on by the initial voting round, such as 2002’s “Greatest Risk that Succeeded.” There was even a “Best Reviewer Award” to appreciate people that engaged with the community. Legion Saga II, winner of the Sleeper of the Year 2002 Misao; originally made by Kamau, reuploaded by Aremen as part of a preservation initiative. On top of awards that honored the best RPG Maker stuff though, the Misaos also granted negative “awards,” referred to as “Wisaos.” I don’t think some people were thrilled to get these. But also. I’m totally on board with Adrian from Ara Fell being awarded “Least Favorite Deuteragonist,” can’t believe he was always so lame, I’m sorry.. In 2003, the site ended up dying off, so iishenron moved things over to The Queen’s Court.The Queen’s Court was a site run by iishenron, named after the game that he was working on at the time. The site primarily seemed to be a place where he blogged about his game and did reviews, though from a modern perspective, its biggest draw is that it hosts a bunch of downloads for older RPG Maker games. From 2002 to 2006, the Misaos were hosted on here until its move to the more centralized RPG Maker hub of RMN. The site was last updated in 2009, though it’s thankfully still up. The game that said site is named after seems inactive and the last time iishenron was active on rpgmaker.net was in 2015, as far as I can tell. In 2006, RMN took the mantle of hosting the Misaos. Voting is made simpler, as users can go to the pages of games uploaded to RMN to nominate them for whatever category they want. At the end of the year, the nominations are tallied up and a final voting round happens for the cream of the crop to decide the winners for each category. After 2008, the Wisaos were phased out to focus on the purely positive awards. Unique categories still pop up every now and then; 2018, for instance had an award to honor the Year of the Dog, which ended up going to the fantastic sounding Final Fantasy vs. Dog. Games up for nomination must be made in the same year, so people can’t go back to nominate older games they feel needed another chance. However, games that released as demos in an earlier year that get updated to a completed form can be nominated in both years, as is the case with Master of the Wind (see below). So, all this is definitely going under a Read More. From this point I’ll be giving short descriptions of some of the prominent Misao entries that either won a bunch of awards or simply won Game of the Year. Taken from site linked below. Yeah, you’re looking at this right. Made by hima, U.S.G. is a shmup developed in RPG Maker XP, of all things. For this feat, hima swept a few of the game design Misaos. If you want to download it yourself, use the Game Jolt download link because the other ones no longer seem to work; this is why preservation is important, fellas. Master of the Wind, by stoic and Volrath, was crowned Game of the Year in 2007 and later made a sweep in the 2011 awards. The core premise of the game is if a superhero story was put in a fantasy world, which I think is a neat premise. By day, Cade Mistral and Bones are humble armor merchants, but by night, they’re the mighty Shroud and Stoic, dealing with small-time crooks and a wave of organized crime. Balmung, by Magi, was an overall game of the year winner of the 2008 Misaos. Based in Norse mythology, Balmung Cycle Part I was the first planned part of a larger story, but if the Misao results are indicative of anything, it’s good enough to stand on its own. Which is a good thing, because this is, unfortunately, the only part. In a lengthy blog post made in 2011, Magi formally announced the end of the project, with the belief that Balmung was too limiting for their expanding skill set. Alter A.I.L.A. 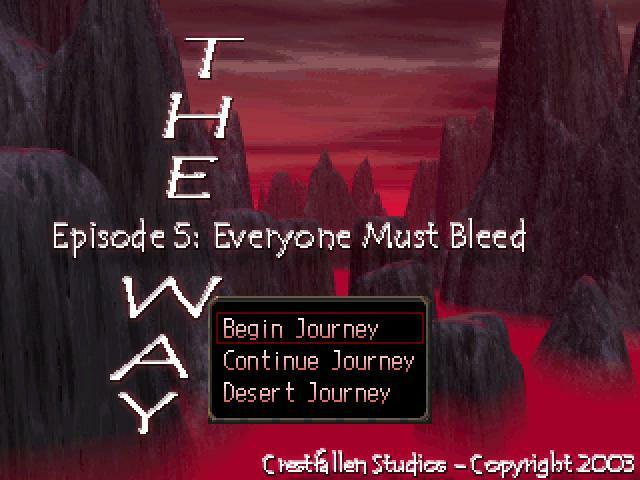 Genesis is an RPG Maker 2003 by Neok, taking players to a harsh post-apocalyptic world. Enemies run on the same rules as you, being able to build up energy for stronger attacks. It won top three in various 2009 Misaos, winning outright in Best Gameplay Mechanics and Best Sound & Music. Also an interesting thing about the game: exploration takes place in a sidescrolling view. So hey, looks like the LISA developer thinking that he’s being revolutionary for using sidescrolling movement in an RPG is bs like a lot of stuff he said in that Gamasutra interview. By Kentona, a prominent figure in the RMN community that also somewhat moderates the Misaos, Hero’s Realm is one of those games that follows closely in the footsteps of NES and SNES JRPGs. Hero’s Realm took Game of the Year for this 2009, not exactly being by being original, but by executing its concepts really well and you know what? Sometimes that’s all you need. This game popped up occasionally in the 2009 ranks, but it really rose to prominence in the 2010 Misaos. In 2010, Vacant Sky made a clean sweep, winning every category except for the ones it was not eligible for. Star Stealing Prince is a game by Star Cadets, consisting of Diedrupo and Ronove. In a land that snows forever, its prince discovers the dark secrets of his family and works to resolve his family’s wrongs and avoid complicity. Star Stealing Prince was the star of the 2012 Misaos, winning in nearly every category. The game has a sequel called Ephemeral Prince, which comes in the form of a novel you can read on a blog. There is supposed to be more to this game, as it’s listed as Chapter 1. Unfortunately, much like some of the other entries on this page, Homework Salesman had not updated since 2013. From what I’ve seen though, the developers are out there doing other stuff and seems to have moved on, so I don’t think a second chapter is coming any time soon. Wish them the best of luck in their new pursuits! 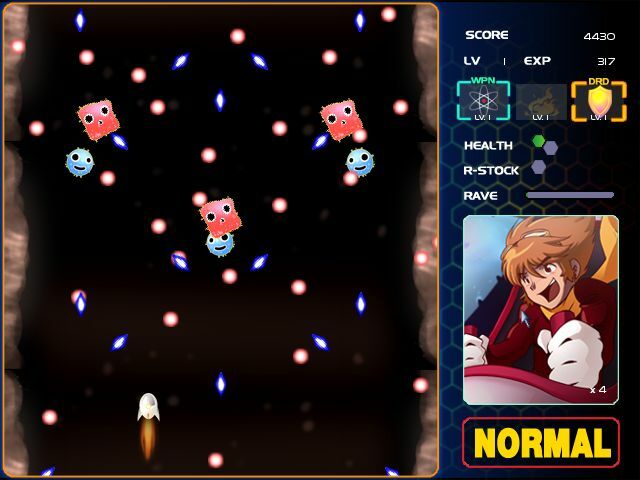 Developed by Lustermx, Lunar Wish: Orbs of Fate was a game that aimed to have a large ensemble cast, though it was more praised for its easy to get into and addicting gameplay. Like Hero’s Realm, it’s not exactly a game that’s unique, but it’s a game that does the standard really well. It went head-to-head with Homework Salesman in some of the categories and ultimately won out as Game of the Year for 2013. Pom Gets Wi-Fi was a game made by Me-Patra/Brianna Lei – who is today better known for creating Butterfly Soup. 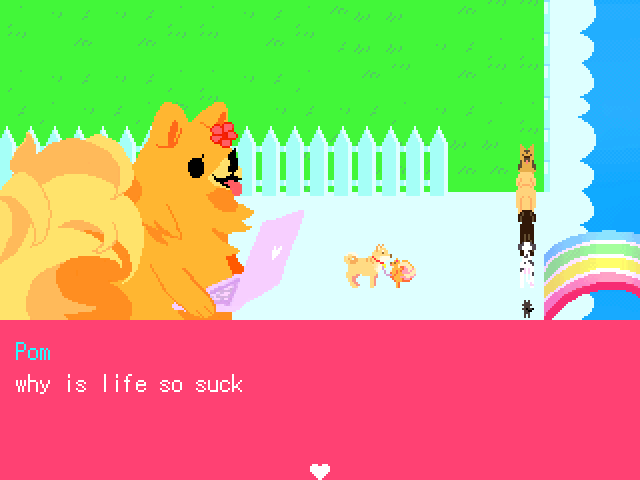 You play as a cute dog obsessed with using the internet – so obsessed that she ends up dying without being fully aware of it and so she sets out to find a wi-fi signal in dog heaven. I remember playing this and thinking it was real cute and funny. But also, so much of the humor relied on memes, so going back to it may not be a good experience. Pom Gets Wi-Fi not only holds prominence in its placements in the 2013 Misaos, but also for the overall site, being one of the most downloaded, if not the most downloaded game on RMN. I remember seeing some bitterness around the time, with claims that it only became popular because it was a meme and because PewDiePie played it. On the case of the latter though, uh, not that it’s the fault of the dev, but that doesn’t sound much of an endorsement nowadays. 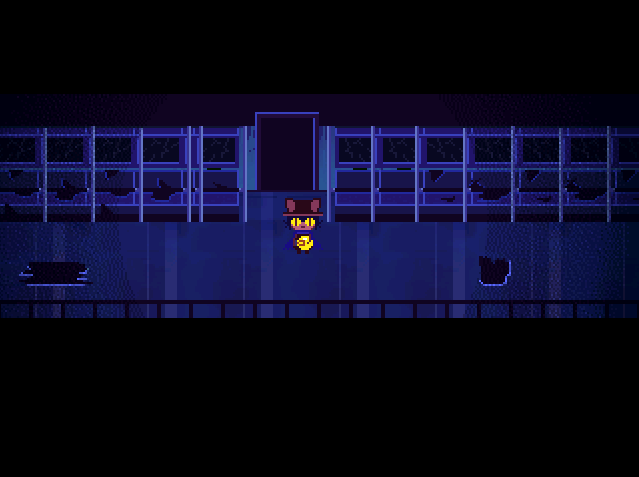 Ever see that RPG Maker game about this cute cat carrying around a lightbulb? That is actually the commercial version of Oneshot! The original Oneshot, by Casey Gu and Eliza Velasquez (note: username on site reflects deadname), was released as an entry in the 2014 Indie Game Maker Contest. As it happens, the game was actually banned from the contest, but its popularity and quality probably motivated Degica to pick up the game to publish, anyway. And popular it definitely was. The original version of Oneshot ended up winning most of the 2014 Misaos and won Game of the Year. This is one of the few entries on this list that I played myself and I can personally say that it’s well deserved. 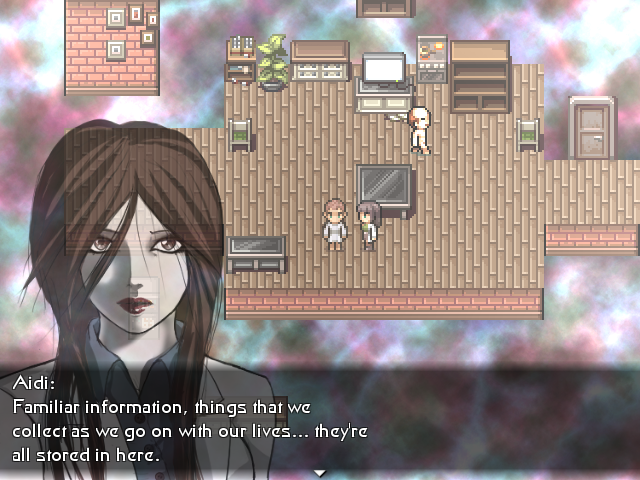 OFF was a cult classic RPG Maker among the lines of Yume Nikki, and much like Yume Nikki, it motivated a fangame scene. Of the fan games, HOME stands out the most. Made by Aaron Mullins, or, Felix, the game is an alternate universe take on OFF where you play as The Judge and a host of other cats. I played it for the blog before and I think it’s alright, and so did the RMN community, as it placed high on a lot of the 2014 categories, even tying with Oneshot in Best Characters. While the status of some of the creators on this list is unknown, I can sadly say that this developer is no longer with us. Mullins died in a car crash in 2017; may this game continue to stand and be preserved as a testament to his memory. 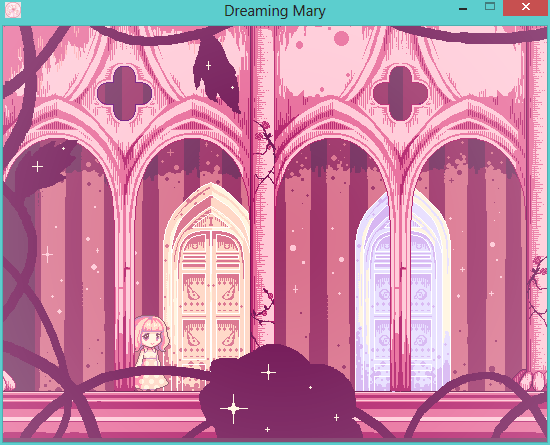 Dreaming Mary, by accha and Trass, is a side-scrolling adventure game with a host of cutesy horror influences where you guide a girl through a strange dream world. The game fascinates me as a case of working with restraints. 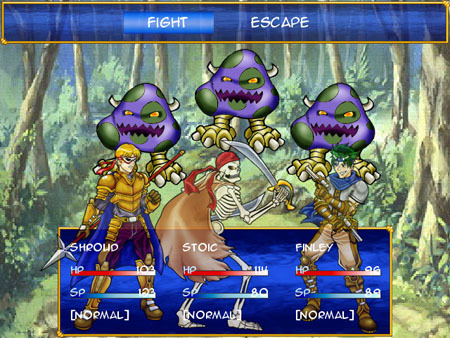 Dreaming Mary was originally made in RPG Maker VX Ace Lite, which puts a harsh limit on the number of maps and events one can put in their game; the only thing the full version of the game did was allow for encryption and font changes. 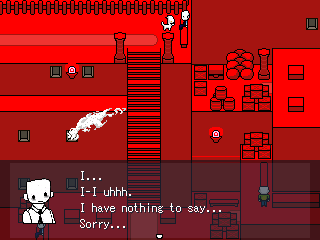 Dreaming Mary won awards for its aesthetics, coming behind Oneshot for Game of the Year in 2014. This game stands out because it’s actually developed in Ren’Py and in general seems to be the best performing non-RPG Maker game across all the Misaos. 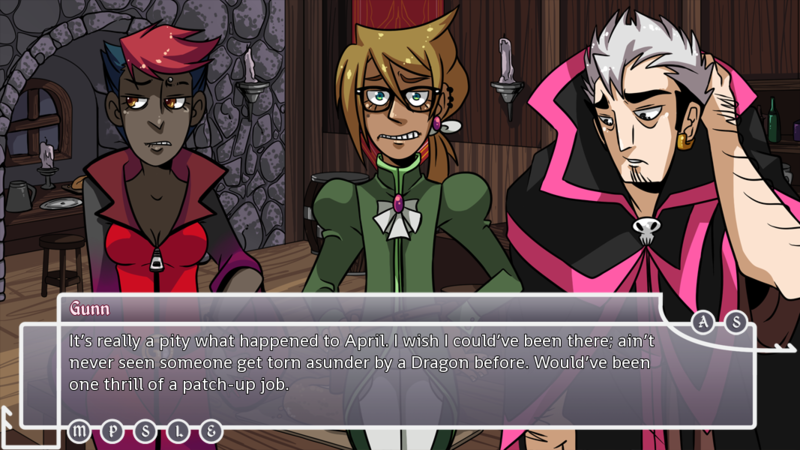 April Was a Fool is a visual novel by Racheal and MakioKuta, where you play as a barmaid yearning to be an adventurer who happens to end up serving a bunch of legendary heroes. With a lot of words, paths and endings, April Was a Fool took several of the 2015 Misaos – one of them being “Best Game You Can Beat Under an Hour,” which makes it an extremely tempting thing for me to cover. Finally, we got some canonically gay stuff in this list. 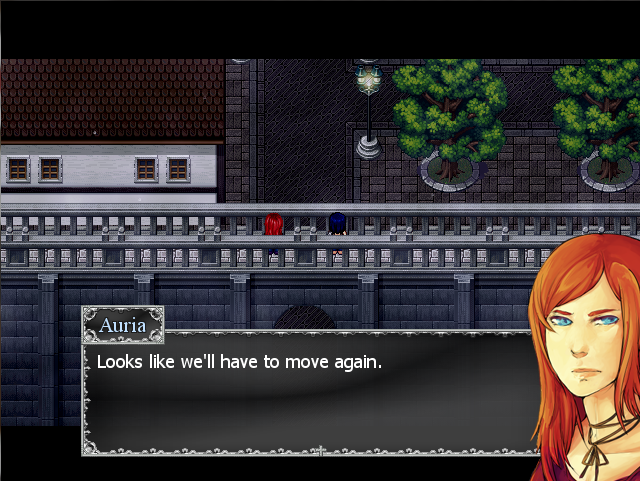 Luxaren Allure is a game by Unity, billing itself as a mid-sized length yuri RPG. 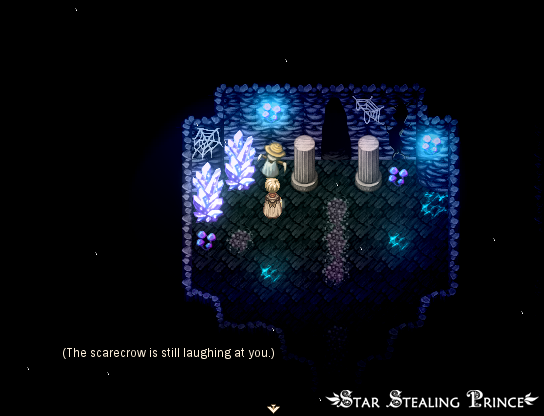 You play as a girl named Karuna, leading an all-female cast against the Evil Overlord Darkloft – who happens to be her former friend that she still has a crush on. Luxaren ended up being crowned as the Best RPG and Game of the Year for the 2015 Misaos. Soma Spirits is a game by Torch60/Sgt. M, where you play as as the sibling guardian spirits of the World of Joy and World of Sorrow, who must work together to prevent this balance from being completely shifted. Soma Spirits won several of the 2016 Misaos, including Game of the Year. The developer later went on to release an updated version called Soma Spirits: Rebalance, as a commercial game in 2017. I played the updated version, which I thought was pretty great, and interviewed the developer. Would be neat to do more interview stuff on here. 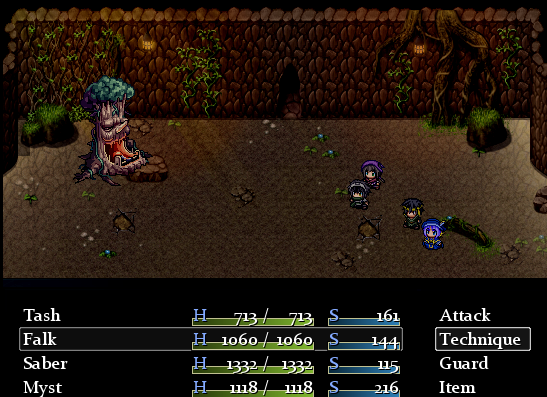 Using assets from other games and combining them with your own assets and story to create a wonderful freeware Frankenstein is an old RPG Maker tradition, and it is one that Lakria Legends keeps alive. What KoopaKush does with his game is that he does a dang good job at that. Reflecting older RPGs and making the most out of the tools RPG Maker 2003 affords, Lakria Legends won out in categories like Best Dungeon Design, a category on technological ingenuity, and won Game of the Year for the 2017 Misaos. PSYCHE Locke, by OldPat, was a game originally made for RMN’s “Theme Roulette” event, where people challenged themselves to make a game based on a randomly selected theme. For OldPat, he got “Yourself” as a theme. And he really runs with that theme by shifting the concept of “yourself” from body to body. In PSYCHE Locke, you play as an amnesiac trying to find himself through merging his souls with others to control them to solve puzzles. PSYCHE Locke ended up winning most of 2018’s Misaos, taking home Game of the Year along with it. 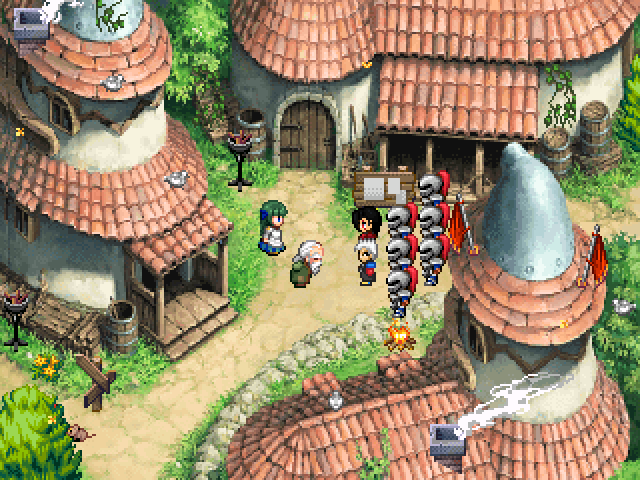 To end this road trip down RPG Maker culture and history, I’d like to give a shout out to RPG Maker Historia. 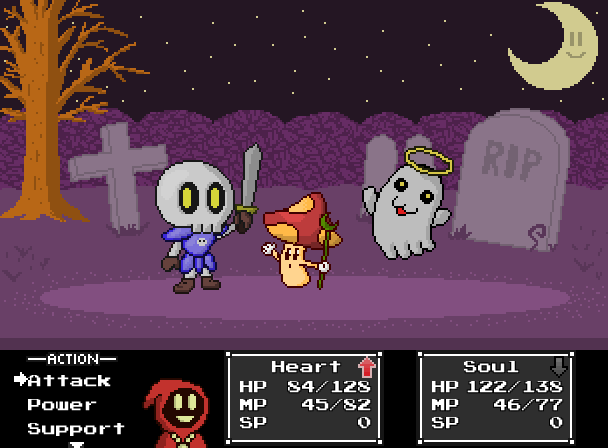 RPG Maker Historia is a blog dedicated to RPG Maker game preservation through giving a visual and written record and has covered several games so far, so if you’ve read this post all the way to the end, you’ll probably be interested in that, too. Awesome article! I wanted to leave a comment and mention that Lun Casari of “The Way” fame went onto join Something Classic as a writer and level designer for the jRPG “Shadows of Adam”.